If you’ve owned a car for long enough, there are chances that it will soon encounter a plethora of problems and be in need of repairs. All of these problems spur from the fact that the car is being used for an extensive period of time and needs an auto repair in Southlake, TX. One of the most common signs of a car that needs immediate auto repair in Southlake, TX, is vibrations. The vibrations would be felt by everyone sitting in the car and might even push you into believing that your car has lived its due course and is becoming an annoyance that you cannot tolerate anymore. The best way to handle such an issue, however, is to not lose hope in your car immediately and make sure that you get an auto repair in Southlake, TX immediately. Before considering car repair, it is important to understand the reasons your car is vibrating and wobbling so much. Here are a few reasons behind this issue. The engine is the biggest culprit when it comes to vibrations within the car. Shakes, noises, and vibrations usually emanate from the engine compartment of your car, and there could be numerous reasons behind it. 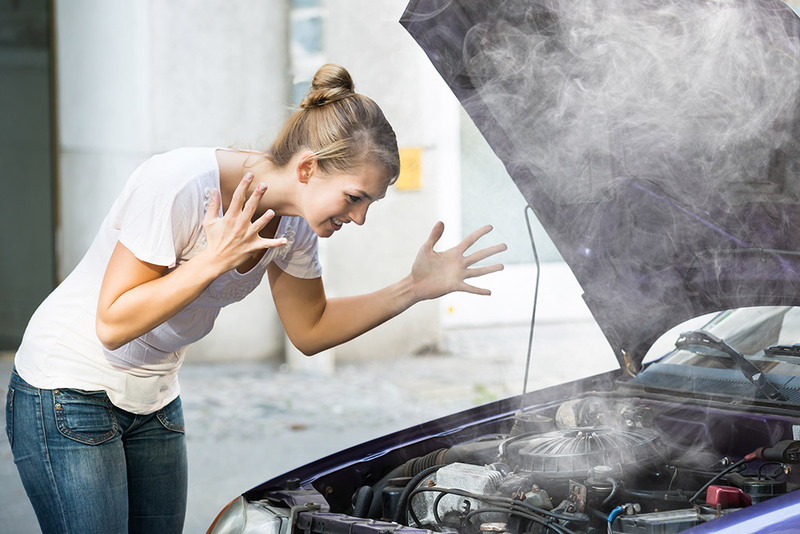 Most experts offering auto repair in Southlake, TX, believe that the reason behind engine problems is the lack of air or a spark within the engine. All of these signs are enough to tell you that your engine is getting frail and is the reason behind the excessive shaking. The problem could either be in the engine mounts, or in the engine itself. However, you must get an auto repair in Southlake, TX at the earliest, because that would point out the flaws in the engine compartment. We talked briefly about them above as well, but since engine mounts are primarily responsible for most of the vibrations within a vehicle, it is best to discuss these in extensive detail. Motor mounts, or engine mounts as they are more popularly referred to, are positioned to keep your car’s engine within place. The engine head is secured to the chassis of your car, through the assistance of the engine mounts. The mounts themselves vary from car to car, and don’t have a single monotonous shape to them. Now, since these mounts have to bear the weight of the engine, they can suffer from wear and tear over the period of time. This means that the engine isn’t as conveniently in placed as it was before. The engine starts shaking and gives away a nasty vibration that has a deep impact on the whole car. It is best to go for an auto repair in Southlake, TX when you encounter such a vibration, as engine mounts and their rubber component should be periodically checked for the fuel efficiency and maintenance of your car. You don’t want to be neglecting an expensive repair down the line, when you can easily get the engine mounts checked earlier on. If the vibrations that you are facing on your car only come up when you press the brake, then your car could be suffering from issues in the brake rotor or the pads. Intense pressure on the car, when you press the brakes, could be a sign of deteriorating auto brakes that require an urgent auto repair in Southlake, TX. The brakes of your car are responsible for your safety maintenance, which is why you should have them checked and repaired at all times. Do not compromise on the workings of your car’s brake, as these brakes are responsible for your safety and your car’s well being. Any neglect in this part will come and haunt you later. Your vehicle is full of different rotating and reciprocating parts, which are required to rotate and work in a certain way for the car to function properly. An axle, the component linking both your tires, is extremely necessary for the proper functioning of your car. Only when the axle is rotating well is it doing its job well. Now, if your axle isn’t well oiled or has developed minor problems in the rotating function, chances are that it will cause your vehicle to vibrate extensively. The vibrations coming from your axle would also be coupled with scratching noises coming from the bottom of your wheel. These noises would be heard with more accuracy once you take a 360 degree turn or apply pressure brakes. Loose components within your steering system can also result in excessive vibrations within your car. These vibrations are often left for a professional auto repair in Southlake, TX, as not many people will have an idea of what should be done here. Do not go DIY with your car, as only a professional mechanic providing auto repair in Southlake, TX would be able to tell the problem. If you are looking for an honest and reliable auto repair in Southlake, TX who can spot all of the abovementioned issues in a used car, call Import Car Center today. They are parts specialists and can provide ones that can fit your model. Just dial 817-481-5665 to get in touch with them now.